20th November 2018, London and New York: There has been a sharp increase in the number of consumers protecting their personal data. The first six months of 2018 saw 26% of global smartphone users starting to protect their identity and personal information for the first time. Now, no longer passive spectators in personal data, in total 76% of smartphone users are actively spending time and effort trying to secure their information. This comes in response to a landmark year, where high-profile data leaks rocked consumer trust and at the same time the EU’s General Data Protection Regulation (GDPR) came into force. 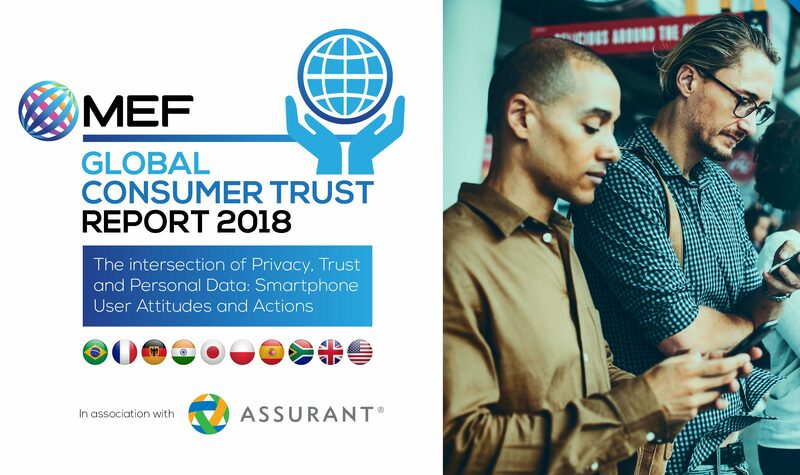 This new era in personal data management and protection has been identified in the fifth annual Global Consumer Trust Study from global trade body Mobile Ecosystem Forum, whose report launched today in association with Assurant. Smartphone users place importance on privacy (72%) and knowledge of how their personal data is used (68%). They are also concerned that data collection puts them at risk (57%). As a result, many consumers (69%) didn’t download an app due to excessive permission requests, while two-thirds (63%) didn’t complete a purchase on their smartphone due to trust issues. With new data protection laws now in force in Europe and data privacy legislation under review in all of the 10-markets studied, the study carried out by On Device Research on behalf of MEF, found nearly all smartphone users (97%) now believe they have legal rights around their personal data, although many are less clear precisely what those rights are. Since GDPR came into force, 62% of European respondents have noticed changes providers have made due to the legislation. 63% of the 6,500 smartphone users studied are willing to manage their own personal data and are demanding solutions that put them in control. However, despite this sea change in consumer attitude and behaviour, only 27% of respondents actually feel in control of their personal data, while 36% do not feel they have a choice when terms and conditions demand access to personal data. There is a clear discrepancy, as users value their privacy, but do not yet feel in charge. On average, consumers are adopting less than three of twelve suggested privacy protection actions. This fragmentation indicates that users are still considering multiple options, with no clear set of best practices available.